Happy holidays from the Mixxx development team. After a smooth beta period, we are happy to present Mixxx 1.10.0! Available for Windows, Mac OS X, and Linux. Mixxx 1.10.0 brings several hard-hitting features that are the culmination of a year's worth of work by the development team. Completely rewritten vinyl-style pitch-bending for clean, analog-like sound. Absolute, relative, and constant vinyl modes. Rock-solid support for Serato Vinyl/CD or Traktor Vinyl at 33 or 45 RPM. Can use different vinyl types on each deck! Improved audio quality when scratching. Support for track selection using the lead-in area of the vinyl and needle-drop hotcues. Track lead-in for scratching before the start of songs. Waveform smoothing to prevent wobbly waveforms. New built-in vinyl signal analyzer. Handy beatloop buttons let you quickly throw down an 8-beat loop as you transition from one song to the next. Turn on quantization mode for a deck and all of your loops, hotcues, and beatloops will snap to the nearest beat when you place them. Sync button now synchronizes both the BPM and phase of beats. Is your beatgrid misaligned? Easily adjust it with one click. Streaming and club DJs alike will love this feature. Plug in your microphone and MC your show, all without the need for an external mixer. Skins now come with juicy spinning turntables that you can scratch to your heart's delight. 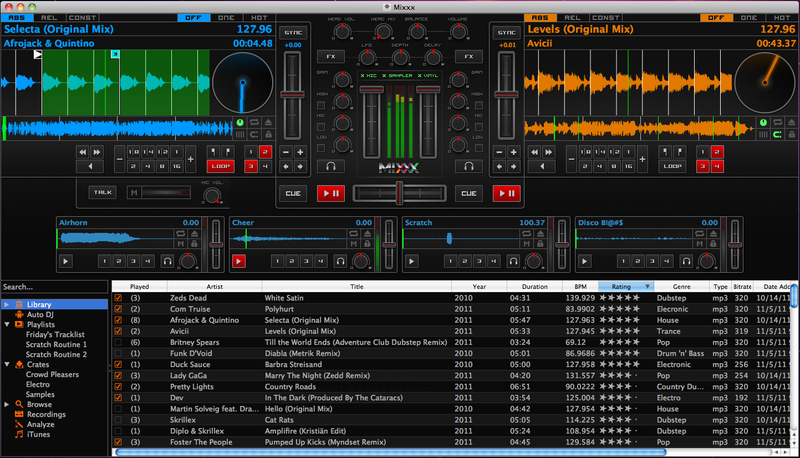 If vinyl control is enabled, vinyl signal quality can also be rendered to the spinning widgets. Waveform overviews now act as a progress bar for track analysis. M4A Support for Windows Vista and Windows 7 users. Mixxx previously could not support M4A on Windows due to licensing issues, but that restriction is now lifted with our new Windows Media Foundation M4A plugin. Mixxx on Mac OS X already supports M4A. New and improved Browse Mode. Automatically splits files into pieces to avoid large files. CUE files of tracks played. Much faster iTunes and Rhythmbox support. Import and export of crates and playlists as M3U/PLS playlists. Playlists and crates are lockable and rename-able. Dragging to library sidebar auto-expands closed sections and is easier to aim. Track play count is more accurately measured. Reload track metadata from context menu in library. Auto-scrolling in playlists is fixed. Add Playlist to AutoDJ feature. Mixxx should play nicer with screen-readers now. It's not perfect, but a step in the right direction. Thanks so much to the awesome Launchpad translators! Alpha translations for many other languages. Better support for UTF-8 filenames. Major efficiency and latency improvements. Netbook users report latency improvements of up to 4x. Sound quality is now much improved. Improved support for multiple soundcards. Synchronization problems should now only affect the headphone outputs. See Bug #667651 for more details. Soft-takeover support for MIDI mappings. JACK now recognizes ports as Mixxx instead of PortAudio. Hundreds of bug fixes and improvements! We worked hard to make sure that our vinyl control support is the best out there. 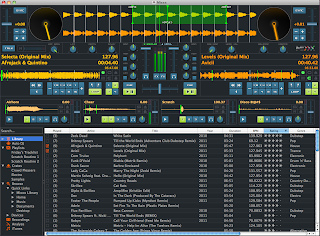 How does Mixxx 1.10.0 compare to your current software for your scratching and turntablist needs? We want to hear from you! Please send us feedback, file a bug, write us an email, post to the forums, or chat with us. You can help improve Mixxx by reporting any bugs you find. Your feedback plays a crucial role in Mixxx's development cycle, and even filing a quick bug report makes an important contribution to the project. We're always looking for new contributors who are interested in working on Mixxx. If you're a hacker or artist and want to work with a creative, enthusiastic team, hop on our IRC channel (#mixxx on Freenode) or sign up for our developer mailing list. Come join us to celebrate the imminent release of Mixxx 1.10.0! We'll be partying at the Middlesex Lounge in Cambridge, MA at their weekly Make It New event. 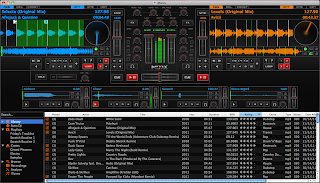 To celebrate the release of Mixxx 1.10.0, all the DJs will be using Mixxx. Mixxx 1.10.0 Beta and Mixxx 1.9.2 Released! After a long hiatus, we're back! The Mixxx development team is pleased to announce the release of Mixxx 1.10.0 Beta and Mixxx 1.9.2! Mixxx 1.10.0 Beta brings several hard-hitting features that are the culmination of a year's worth of work by the development team. We're also pleased to announce the release of Mixxx 1.9.2, the latest stable version of Mixxx. This update brings some key bugfixes to the mixing engine and library. We worked hard to make sure that our vinyl control support is the best out there. 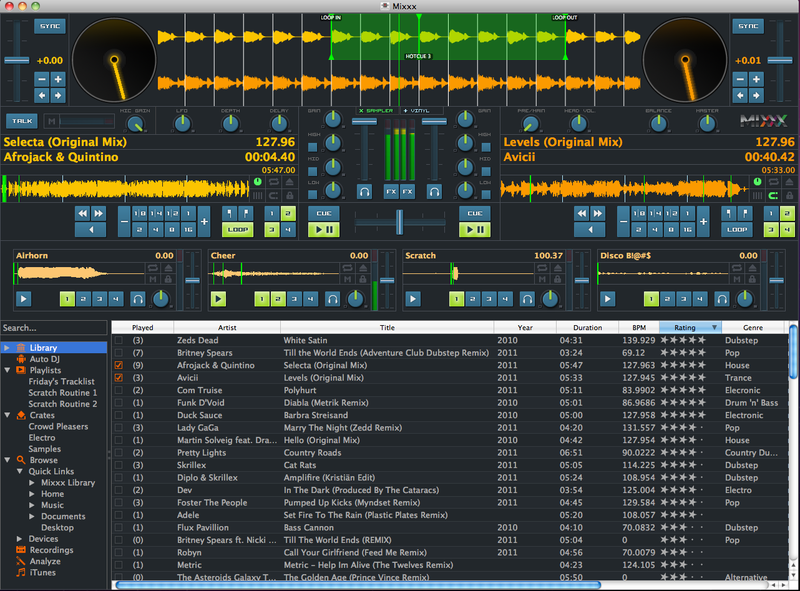 How does Mixxx 1.10.0 Beta compare to your current software for your scratching and turntablist needs? We want to hear from you! Please send us feedback, file a bug, write us an email, post to the forums, or chat with us. 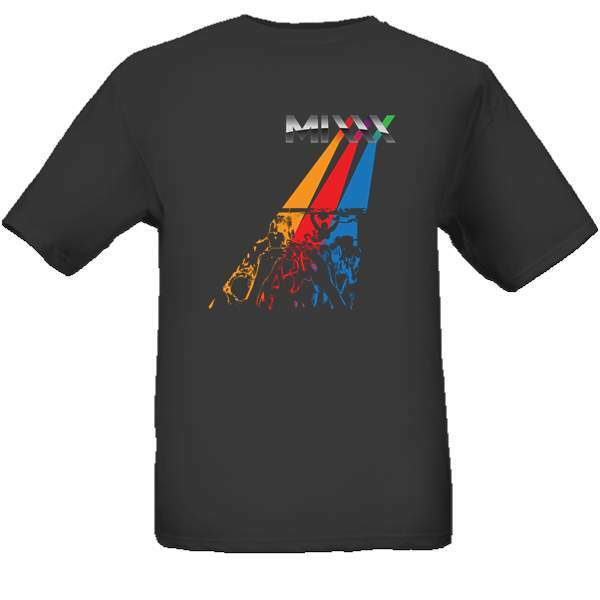 Mixxx 1.10.0 Beta has been heavily tested by our die-hard bleeding edge test subjects. That said, the usual warning applies: You should not play live with Mixxx 1.10.0 Beta unless you are willing to accept the risk of a crash during your set! We are not responsible if Mixxx 1.10.0 Beta eats your baby, sets your house on fire, or gets you fired from your residency at Club Booty. Do you want Mixxx translated into your language? Mixxx 1.10.0 will be our first foray into internationalization and we need your help! If you want Mixxx in your language, please head on over to Launchpad and help with the translation effort. We're hard at work on bugfixes as the 1.10.0 development cycle is coming to a close. Hopefully we'll have a beta for you all soon. Boston Mixxx Meetup -- Tonight at 9pm! Calling all Boston-area Mixxxers -- tonight we're hosting an impromptu Mixxx user meetup care of the Redhat conference that's in town this week. Join us at the World Trade Center at 9pm tonight to hang out with other Mixxx users and developers. We'll have a bunch of gear to play with and we'll be showing off some of the latest features in the upcoming Mixxx 1.10 release. Come check it out! More info is on the mailing list. Google Summer of Code 2011 Projects! The Summer of Code is upon us! 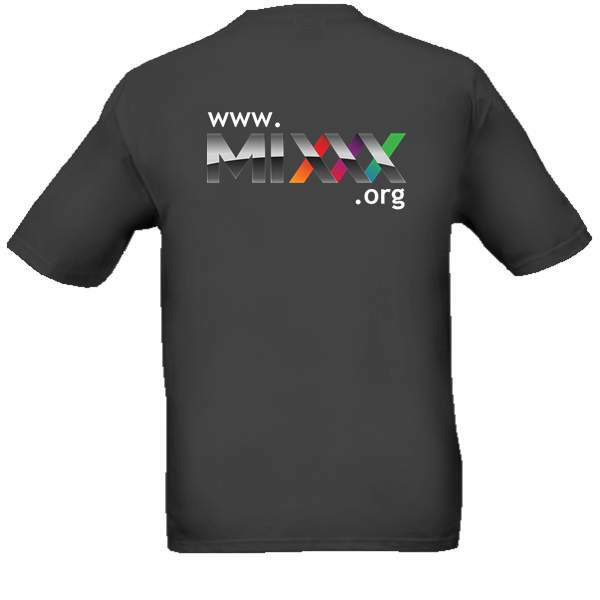 Google has just announced which students Mixxx has accepted into the Google Summer of Code 2011 program. Students were competing for one of three slots awarded to Mixxx by Google. This year we received a high volume of applications from many skilled students which made the decision-making process very difficult. Qifan Xi's project will involve building a smarter search feature into the library. For example, a context aware search could allow DJs to easily search for tracks that have similar BPMs to the song that's currently playing. Bart Verstrynge's project will be to build a DJ session history into the library, so that DJs can easily recall playlists of their past DJ sets. This would be useful for radio DJs who are required to document the music that they play and for DJs who wish to post their tracklists on the web. Bill Good will work to further decouple the Mixxx user interface from the audio engine. The goal will be to rework the boundary between these two parts of our codebase so that animations can be processed independently of audio, which lead to smoother animations and a more consistent user experience across different hardware. We're very excited for Bill, Bart, and Qifan to work with us this summer. These projects each have the potential to add extra functionality and polish to Mixxx, and we're very grateful for Google's generosity in enabling this work. The 3 will be mentored by RJ Ryan, Tobias Rafreider, and Phil Whelan. Hopefully by the end of the summer we'll have some hot new features for you to play with! Meanwhile, the Mixxx team is working full-speed ahead on Mixxx 1.10, which we hope to release in May. At this point all the new features are complete and we're fixing bugs. Look for a beta release in the near future! How are you doing up there, Angry Birds? 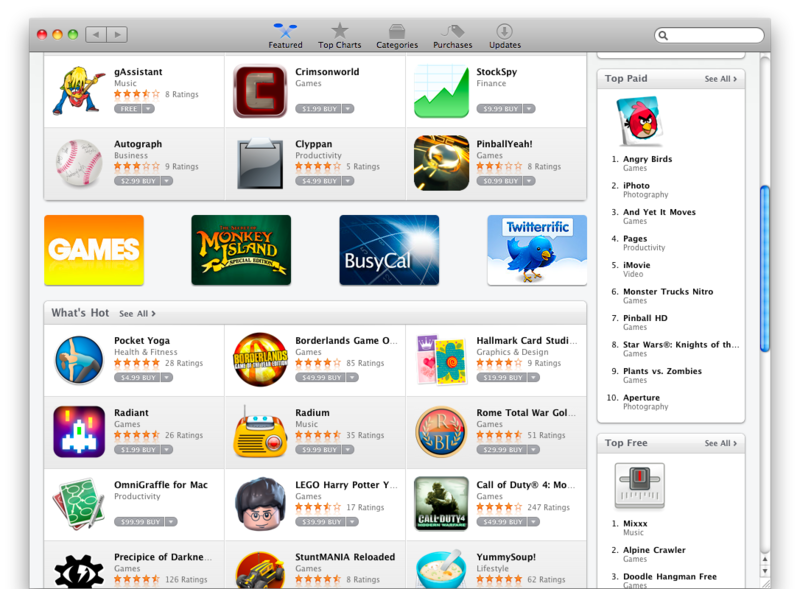 In less than 48 hours since we went live, Mixxx has become the #1 Top Free App in the USA, Germany, and Italy. We're also one of the top 3 Apps in Brazil, Canada, France, Japan, and the UK. We're completely overwhelmed by the response - I don't think anyone saw this coming. 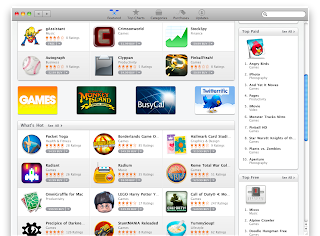 We wanted to be in the Mac App Store to reach more users, and now we're reaching far more than we ever expected! I'd like to thank our entire community of DJs, artists, and developers for their dedication and cooperation that have brought Mixxx this far. Without the devotion of many individuals, Mixxx would not be the software it is today. As a shameless plug, I'm finishing my degree next month and I'm looking for a job! I'm interested in pursuing a career in game development or live performance audio software. If you know someone who needs a C++ programmer with several years of experience with Qt or real-time audio, please let me know! The Mixxx development team is pleased to announce the release of Mixxx 1.9.0! 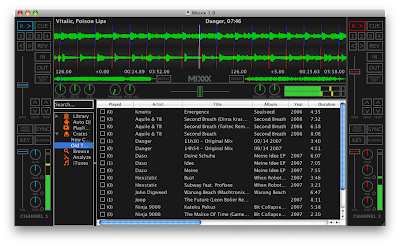 Mixxx 1.9.0 adds several major new features including Shoutcast support, direct deck outputs for external mixers, and ReplayGain normalization. We've also added many enhancements to the library, a revamped default skin, and more! Mixxx now supports firewire HSS1394 MIDI devices such as the Stanton SCS.1 series. Recording to MP3/Ogg - Now your recordings can be saved in either MP3 or Ogg/Vorbis format. 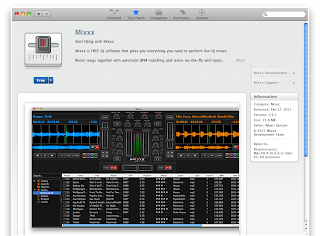 We're excited that Mixxx 1.9 is also now available in the Mac App Store. The version in the App Store comes with AAC/M4A support and is 64-bit as an extra bonus for Mac OS X users. However, due to licensing constraints, vinyl control is not included in this version. A version including vinyl control for Mac OS X 10.5+ Intel and PPC users is available on our downloads page. Our 32-bit Mac OS X package has been upgraded to provide better compatibility with Mac OS X 10.5. The new package is available on our downloads page. The Mixxx Development Team is pleased to announce that Mixxx 1.9 is now available for Mac OS X through the Mac App Store! We're excited to be one of the first open source applications in the Mac App Store, and grateful for the opportunity to share Mixxx with an even wider audience. This new release brings improved iTunes integration, and exclusive to the App Store, a new audio decoder that harnesses Core Audio to bring M4A playback support to Mixxx. A full release announcement including a list of changes included in 1.9 will be posted in the next few days, as we're still finalizing Windows and Linux packages. We're also putting our build server to good use these days, and will have an update on that project soon. Stay tuned! Mixxx T-shirts - ORDER NOW! A big thanks to everyone who voted in our T-shirt contest! Now it's time to order! It's $25 for the 100% preshrunk cotton T-Shirt ($28 if you need XXL) plus $5 shipping to anywhere in the world. Thank you for your attention and enthusiasm!